Children were able to choose their level of challenge in maths to complete either bronze, silver or gold challenges for permitted of shape. Using the seven column method to convert measures of mass, length and capacity. 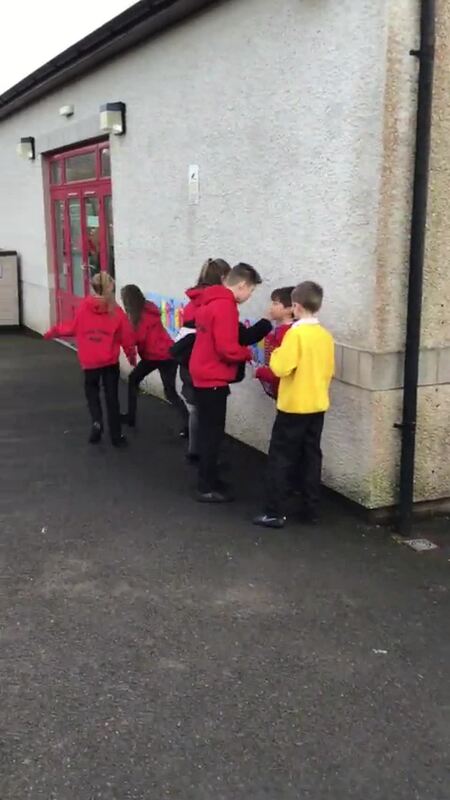 Class 6 pupils really enjoyed doing a fun, practical activity based on finding matching fractions, decimals and percentages in the form of a treasure hunt in the school grounds. Playing a game of ‘pairs’ which involves finding matching sets of cards from memory. The children had to find the matching fraction, decimal and percentages. Playing interactive maths games based on multiplying and dividing on the laptops. Multiplying decimal numbers by 10,100 and 1000 to reach the finish line on our maths board games. Some of the problem solving questions were quite challenging and involved multiple steps to find the answers. Making and ordering five and six digit numbers.